New Mexico workers' compensation provides medical and lost wage benefits to New Mexico workers who have been injured while performing their job duties. Workers compensation allows New Mexico workers to receive their benefits immediately without filing a personal injury claim thus eliminating the expense and hassle of an extended legal battle. Work compensation in New Mexico is a no-fault insurance policy provided to the employee free of charge. New Mexico employers must purchase workers' compensation insurance as a requirement of doing business in the state of New Mexico. New Mexico workers' compensation is administered by the New Mexico Workers' Compensation Administration which according to their publications "provides a variety of services and programs to New Mexico employers, workers, insurance carriers and self-insured businesses, health care providers, and related organizations". New Mexico employees who are injured at work have the legal right to file their own New Mexico workers' compensation claim, but many employees who are seriously or permanently injured may want to talk to a New Mexico workers' compensation lawyer. 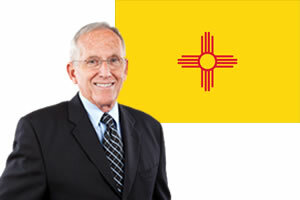 New Mexico work comp laws can be difficult to navigate alone, and unfortunately, New Mexico employers may be more interest in settling the claim as quickly as possible rather than ensuring the workers is receiving the work comp benefits they need to fully recover. Work comp lawyers in New Mexico can also help New Mexico workers who have been denied work comp benefits or who have not received the benefits they believe that are entitled. Need legal help getting benefits for your New Mexico workers compensation case? Simply complete our free form below to get started today! New Mexico workers' compensation or workman's compensation is only provided work injuries and occupational illnesses which occur in the normal course of employment. Work injuries in New Mexico which occur because an employee is intoxicated or intentionally trying to injure themselves or others may not be covered by New Mexico worker's compensation. Willfully disregarding pre-established safety procedures or failing to use safety equipment may result in decreased compensation rates. Medical Benefits - Medical benefits are provided for injured New Mexico workers for all authorized and necessary medical expenses. Medical benefits are provided at no cost to the employee and can include: doctor's visits, hospitalizations, nursing services, prescription medications, laboratory services and medical supplies. New Mexico employers are entitled under New Mexico's work compensation laws to make the initial physician choice for the employee or they can allow the employee to make the initial choice. If the employer makes the initial choice the employee may change their doctor after 60 days of medical treatment. If the employer allows the employee to make their own choice, the employer can request that the employee see their doctor after 60 days. Temporary Total Disability Benefits - Temporary total disability benefits (TTD) is provided to New Mexico employees who are injured at work and unable to perform any type of work duties due to residual work injuries. TTD benefits are not paid until the injured worker has missed at least 7 days of employment. Workers who miss more than 4 weeks of work will be paid for the first seven days of missed employment. TTD benefits are paid at 66 2/3% of the workers wage (maximum and minimum amounts apply). TTD benefits are paid for the duration of the work injury or until the worker reaches their maximum medical improvement level. Permanent Partial Disability Benefits (PPD) - Permanent partial disability benefits (PPD) are paid to New Mexico workers who have been injured at work and suffered a permanent partial loss. Permanent partial losses can be either scheduled (loss of finger, hand, arm, foot, leg, eye or ear) or unscheduled or "whole body losses". PPD benefits are paid to workers who have reached their maximum medical improvement level but still have a permanent disability. Scheduled permanent partial disability benefits are determined according to the American Medical Association Guide to the Evaluation of Permanent Impairments. PPD benefits are paid for a pre-determined number of weeks based on the lost body part, ranging from 7 weeks 500 weeks. PPD is calculated by multiplying the worker's average weekly wage by 66 2/3%. Lump sum payments are allowed under certain conditions. Permanent Total Disability - Permanent total disability benefits (PTD) are paid to workers who are unable to return to any type of employment after they are injured on the job. PTD benefits are automatically paid to injured workers who has lost both hands, both arms, both feet, both legs, and both eyes or the use of the aforementioned. Workers who have suffered a brain injury with a loss of 30% or higher of brain impairment may also qualify for PTD benefits. PTD benefits are paid at 66 2/3% of the worker's wage (up to the minimum and maximum established under New Mexico state law. PTD benefits may be paid for the duration of the worker's life. Vocational Rehabilitation Benefits - Vocational rehabilitation benefits are available to New Mexico workers who suffer from a work injury. Vocational rehabilitation benefits are provided to help the injured worker return to their job or another they are suited to perform given their current mental or physical health conditions. Vocational rehabilitation can include job training, counseling, job placement or employment modification. Death Benefits - Death benefits are paid to dependent family members of an employee killed by an on the job injury or occupational disease. Beneficiaries may include the worker's children, spouse or other immediate family member who are dependents of the deceased worker. Death benefits include wage loss compensation which is calculated by multiplying the deceased worker's average worker's wage by 66 2/3% (subject to the state's maximum and minimum rates). If there is a widow and no children the widow is entitled to the full amount. If there is a widow and children it will be divided according to state law. The wage loss compensation can be paid to the surviving children until they reach 18 years of age or 23 years old if they are a full-time student. According to state statute "no compensation benefits payable by reason of a worker's death shall exceed the maximum weekly compensation benefits as provided in Sections 52-1-41 through 52-1-43 and 52-1-47 NMSA 1978". A widow's death benefits will end if they choose to remarry, but they may receive a 2 year lump sum payment. Burial expenses may also be paid up to the maximum amount allowed under New Mexico work comp laws (currently $7,500).